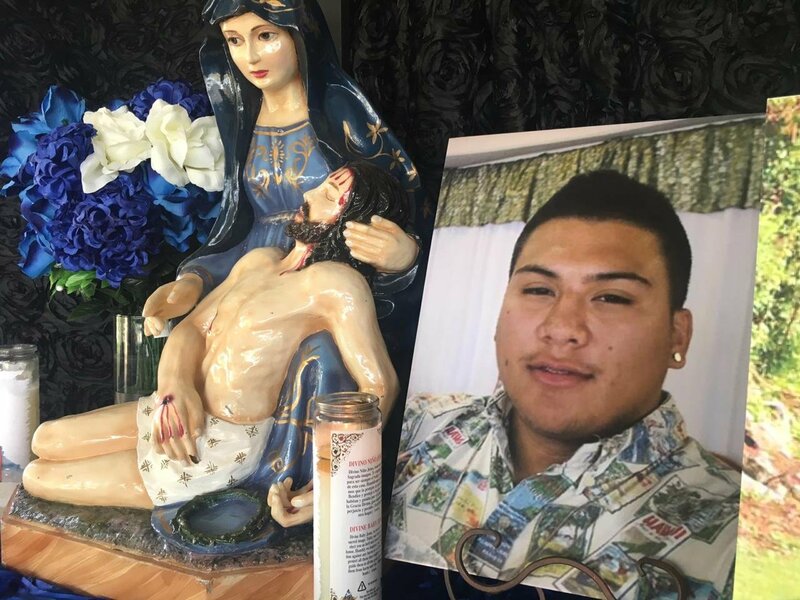 Family mourns crash victim Deon Cruz - KUAM.com-KUAM News: On Air. Online. On Demand. A family is mourning the loss of 19-year-old Deon Cruz . The investigation is ongoing now one week after that serious crash in Ordot that claimed his life. "I'm in disbelief that my baby is not here with me today. I love you, my boy,"
Barbara Quidachay grandmother to Deon. The 19-year-old died a few days following a serious crash on Route 4 in Ordot. "I'd like to hug him again and just tell him I miss him and love him," his mother Charmaine Cruz said. The grief-stricken mother recalled the day she lost her son. He was on his way to his family home in Sinajana. "He's 19 and you see that picture, that's the picture he took right before he left," she told KUAM News. In the photo, Deon is posing in front of a red pickup truck, donning camouflage from head-to-toe and smiling with his tongue out. "They were in Talofofo working on vehicles and that was his day off from work. He was going to come home because he had a baseball game in Tiyan. He was going to come here and get his glove. He was just coming here." That evening, Charmaine Cruz got an unexpected call from her son. "Deon calls me and then he tells me 'Mom I've been in an accident,'" she said. "I thought he was joking because he likes to joke but he called me. I said are you hurt and right when he told me he can't feel his legs I already knew it was serious and then I left." She rushed the crash site near the Sunshine Plaza in Ordot. "I saw the other car, the ambulance, tow trucks, my son still in that truck when he hit the concrete because he couldn't get out because he couldn't move," she said. The next few days would be tough for Deon and his family. He suffered from a broken femur. His mother saying at least two days had passed before he was taken in for surgery. But, Charmaine unaware that would be her boy's final moments. "I was just telling him he is going to be OK and then he gave me a high five and told me not to worry," she said. The family, now grieving, is remembering the sweet loving man that would always keep the crowd around him laughing. Charmaine Cruz has shared her memories of her son. "It's really the relationship that I had with him - because everyone would say you guys are like brothers and sisters - because we just had that relationship," she said. Rosaries are being said nightly at the family's home in Sinajana on Mansanita Court. Deon's funeral is planned for Feb. 20 at St. Jude Catholic Church.